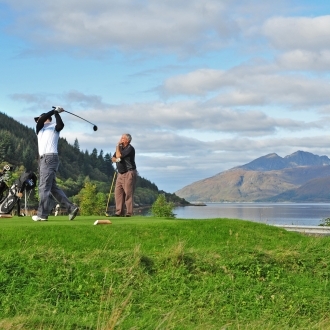 Welcome to The Dragon’s Tooth Golf Course – one of ‘Scotland’s hidden gems’. The Dragons Tooth has quickly become a firm favourite with golfers far and wide. Why? 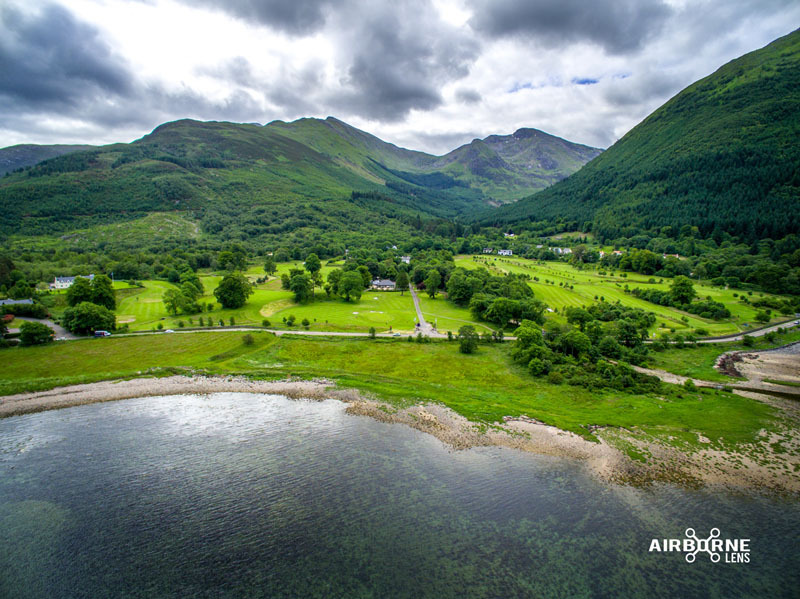 The 18 tee, 9 hole Dragon’s Tooth Golf Course at Ballachulish is located on an undulating, tree-lined estate at the entrance to mighty Glencoe, just south of Fort William. Wide sweeps of grassland drop down to almost touch the loch. Panoramas from each of the challenging holes are breathtaking and the quality of the fairways matches mightier courses in Scotland. If you are in the Highlands of Scotland looking for golf near Fort William or Oban, this course is convenient to get to and a treasure to play. The course boasts fantastic USGA greens, allowing all year round putting and giving firm, dry, fast summer surfaces. It stands up very well to whatever the west coast climate can throw! Golfers of all standards find delight and challenge at this special golf course (opened in 2001). The 5,003 yard course is a par 69/67 experience and arguably the best feature is it’s wonderful location in the breath-taking “Glenachulish” valley. The estate is smothered in flora and fauna . Mature trees of all kinds enhance the edges of the fairways, from shapely old oaks overhanging the second green and hidden yew trees that are over two hundred years old, to a well situated, ancient Monkey Puzzle tree towering over the third green. In the spring Bluebells carpet the riverbank that runs through the heart of the course as it sweeps down into Loch Linnhe from the dramatic Glen Ahulish gorge above. Birds of all kinds are frequent visiters to the course with regular sightings of Kites and Heron. Canada gease and Ducks take up residence in the pond that splits the fourth fairway, and here you will also see Dragon Flies as large as your hand. Other visiters like the Fox and Deer can be found – though not often by the golfer.